Great capture. what kind of camera did you take the shot with? 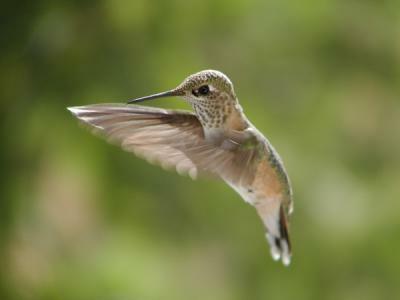 It is not easy to catch a hummingbird in flight, especially with this clarity. Good job!